components sourcing and electronic schema review, in association with I.C Rep, a representative company of component manufacturers. This hardware branch makes it possible to validate, in a first time the technological choices and those of the components with the best quality / price ratio, then to put in place the production line and pre-series. technical expertise, including software. Picodev will advise you on technological choices (mobile application, servers, transmission protocols) and the constraints of putting into production. manufacturing management and support for the labeling and certification process (CE, Origine France Garantie, etc.) in partnership with Asec Consulting, specialized in the management of Industrial Projects. 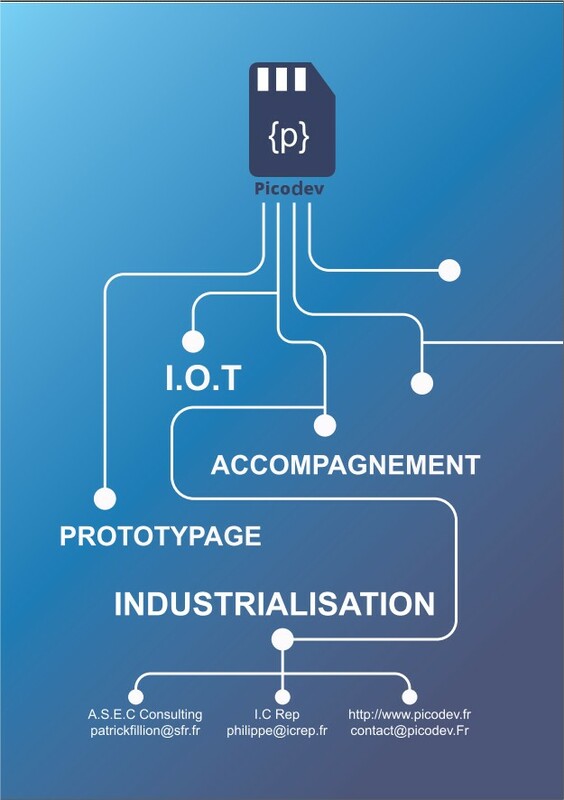 At the end of this first phase, Picodev is able to assist you to the industrialization process of your object: over a period of 15 to 20 days, the team helps you to build a first specification, to identify the most suitable providers, to set a first development timetable and to decide on a first budget, before moving on to production.